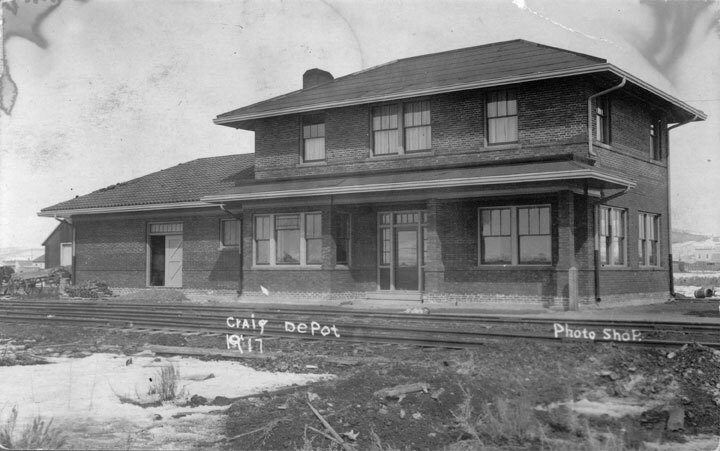 The Craig Depot is an example of architectural style of the early 1900s. The Moffat Line and the Craig Depot served as the hub of activity for transportation of livestock, coal, supplies, and people to and from an isolated area. The railroad depot was the end of the Moffat rail line, which was initially planned to run from Denver to Salt Lake City. A loss of financial backing forced David Moffat to scale back his original plans and end the line in Craig. With the harsh winter months and impassable roads, the train served as the main connection to the Yampa Valley, and the line was dubbed the “Moffat Road.” Initially, potatoes and head lettuce filled the trains, but by the 1950s, more wool was shipped by rail from Craig than from any other place in the world. The depot served both Utah and Wyoming in addition to residents of northwest Colorado. In 1985, the Denver & Rio Grande Railroad shut down the depot, its functions taken over by a computer in Denver. 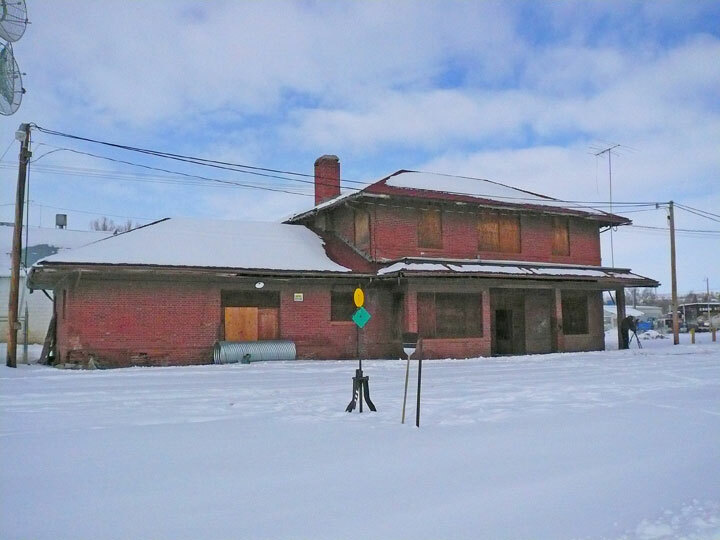 In 2001, the Union Pacific Corporation, the current owners, delayed demolition of the depot and negotiated with the Museum of Northwest Colorado and the Community Foundation of Northwest Colorado to donate the building. However, in 2004, Union Pacific decided against donating the depot, and the building continues to deteriorate. The re-activation of both rail lines surrounding the depot adds to this preservation challenge. During 2017 CPI has had conversations with the Mayor of Craig to determine how to move forward with the depot. The building will need to move and the city is supportive of the project, and has a potential site in mind, but funding is needed for the movement and restoration costs. The site still needs a re-use and restoration plan as well as drawings of the project, and the envelope may need to be re-sealed to prevent damage from vandals. The Union Pacific Railroad had initially entered in negotiations with the Wyman Museum to have the building purchased and moved. However, the costs associated with relocating the depot were too great for the Wyman Museum to justify taking the building. In order to ensure the depot is a save, the building has to be moved. The Rocky Mountain Railroad Heritage Society has been in the process of coming up with a way to finance moving the depot.